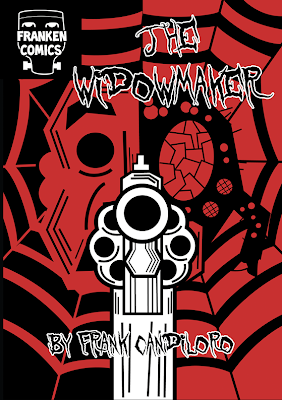 The Widowmaker is a black and white gangster and horror comic. At the same time it is actually neither, yet it functions as both. The Widowmaker sure got mine. According to its creator, Frank Candiloro, this comic is about Don Taranturco, a mob boss in the 1930's, who, after burning down a local cafe, has an ancient curse put upon him. This curse begins his horrible metamorphosis. And that is what this comic IS about, and yet it's not about that at all. The most striking thing about The Widowmaker is Candiloro's art. It's got that whole German Expressionism, wood-block print, indy wonk vibe that is both off-putting and engaging at the same time. It is the perfect style for what Candiloro is up to in this book and sets the tone perfectly. His pacing is quick and moves the story along in a real unsettling way. This is weird story and it needs to be told in a weird way. But it's not exactly a weird story either. It actually is something vaguely profound. Or maybe it's not. There's an unexpected twist at the end which transforms this book from one thing to another in a single page. It's quite a deft maneuver. The comic ends with a quote from the novelist Isak Dinesen, “I don't believe in evil, I believe only in horror. In nature there is no evil, only an abundance of horror, the plagues and the blights and the ants and the maggots.” I don't think I'm giving anything away when I say this is the perfect quote for the this book. Frank Candiloro has crafted himself a pretty interesting piece of business here. 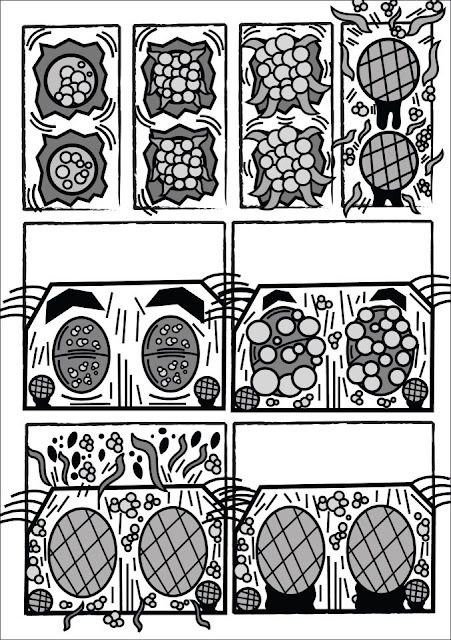 It's a great example of another one of the possibilities of comics.